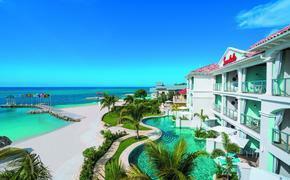 We break down the highlights from the all-inclusive company's annual event for top producers. If you weren’t one of the nearly 600 travel advisors to attend Karisma Hotels & Resorts’ 11th annual Gourmet Inclusive Vacation Consultant (GIVC) awards, AGENTatHOME will fill you in on what you missed—and explain why this news should be on your radar. The event drew some of the industry’s top producers to El Dorado Royale in the Riviera Maya for education, networking and honors. Donnie Dawson, deputy director of tourism, sales, U.S. and Latin America for the Jamaica Tourist Board (JTB), was in attendance for the first time in the show’s history, a sign of Karisma’s recently increased business in Jamaica. The biggest deal between Karisma and Jamaica in recent years came in the form of the Sugar Cane Jamaica deal, which over the next 10 years will add 5,000 rooms in seven hotels. And as for new developments in its existing Jamaica hotels, the company recently announced the debut of an adults-only section at Azul Beach Resort Negril by Karisma. Karisma’s second Nickelodeon Hotels & Resorts property will open in the Riviera Maya in 2020. Mandy Chomat, chief sales and marketing officer at Karisma, said the project was set back a few months for various reasons, including delays in securing permits needed for the hotel’s main attraction, the water park. 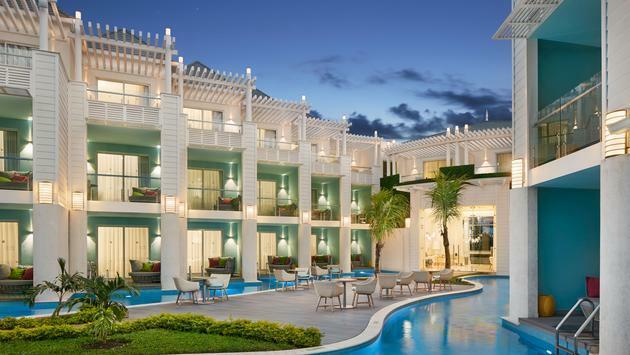 The property’s debut will follow the successful introduction of Nickelodeon Hotels & Resorts Punta Cana, which Chomat said has been “booming” among both the U.S. Millennial market and the local Dominican Republic market since it opened in 2016. Chomat said Karisma will officially be announcing the third location for Nickelodeon within the next six months, but said that Cartagena, Colombia, could very likely be that destination. Karisma already has three properties in Colombia, all from its Allure Hotels brand, which are boutique, EP properties. Allure Bonbon, by Karisma and Allure Chocolat are located in Cartagena; Allure Cafe Mocawa is located near the city of Armenia. Although Nickelodeon will continue to have a growing presence in the Caribbean and Mexico, it appears the brand is heavily targeting Central and South American destinations. Karisma CEO and Chairman Rafael Feliz told AGENTatHOME that Jamaica is also in consideration for the third location, and that Peru, Brazil and Panama will all be scouted for possible Nickelodeon hotels, as will Dubai.